What’s Next for the Luxury Sector? The luxury sector has been in the headlines this week, though the outlook has been muddled. High-end home goods retailer Williams-Sonoma (WSM) beat earnings estimates on Wednesday, initially sending shares higher. Unfortunately, the details were a lot less impressive. Overall, sales were up 12.3% and same-store sales were up 8.4%… but the retailer had to lower its prices in order to generate those sales—which lowered margins—and management gave guidance that suggested the rest of the year would be tepid. This came just a day after luxury jeweler Tiffany & Co (TIF) announced strong earnings and boosted its forecast for the rest of the year. But—importantly—it was a surge in Chinese sales that pushed Tiffany higher. U.S. growth was actually a little on the sluggish side. It’s never a great idea to draw firm conclusions from just two data points, but this has been a recurring theme for most of the summer. Last month, British fashion group Burberry (BURBY), announced a knockout quarter, with sales up 21%. Growth in China—Burberry’s most important market—were particularly strong. Across the English Channel, Hermès (France:RMS), the French luxury group best known for its leather goods and scarves, also surprised the Street with stronger-than-expected sales for the quarter led by a strong showing in…you guessed it…China. American sales have been decent, though far from spectacular. The real success—where there has been success—has been in China. Between sales in Greater China and sales to Chinese travelers abroad, the Chinese consumer is the engine that drives this entire sector. European sales have held up fairly well, though this is in large part to aggressive buying by foreign visitors. Data here is a little hard to come by, as stores generally don’t track the nationality of their patrons. But as a telling case in point, Chinese visitors make up only about 1% of the traffic in London’s Heathrow airport yet they account for nearly a quarter of all luxury goods sales. Yet not all news coming out of China is good. Last month, Rémy Cointreau (REMYF), the maker of high-end French cognac, announced disappointing sales stemming from a sharp decline in China. Rémy, which makes the ultra-high-end Louis XIII cognac, gets over 40% of its sales from China. As goes China, as goes the company. To start, despite an improving American economy, the luxury story begins and ends with China. This was bad news earlier this year for certain segments of the sector—such as Swiss watches and super-premium wines and spirits (read: Louis XIII cognac and Chateau Lafite Rothschild wines)—because of a Chinese crackdown on conspicuous consumption and on “gift giving” (ahem…bribery) in government circles. This was less of a problem for handbag and fashion retailers. As the shock of the crackdown wears off, these segments should recover. But the short-term hit to sales will be felt in the next round of quarterly earnings releases. Meanwhile, in other segments of the luxury market, it’s business as usual. Daimler (DDAIF), the maker of the iconic Mercedes-Benz, just announced that it was making €2 billion in new investments in China. Daimler plans to double its manufacturing capacity by 2015. So, with all of this said, should you invest in the luxury sector? I don’t consider the sector the screaming bargain that I did a year ago, but I still see quite a bit that I like. Daimler is one of my favorite stocks (and my choice in InvestorPlace’s Best Stocks of 2013 contest…which it happens to be winning at time of writing). Daimler is up over 30% this year, including dividends, yet the stock still trades for a very attractive 8 times earnings. It also sports a respectable 4.2% dividend. I also like Swiss watch leader Swatch Group (SWGAY). In addition to its own highly-successful brands–such as the Omega worn by James Bond–Swatch also makes the “guts” that go into 90% of all high-end Swiss watches. Swatch trades for 17 times earnings and yields 1.24%. China’s growth looks to be stabilizing at around 7.5%. The days when Western luxury firms could count on 20% per year annual sales growth are probably over, but the “luxury story” will remain the “China story” for the foreseeable future. Have you ever noticed that new “premium” vodka brands seem to pop up every other year, yet the quality scotch brands you see on shelves today are the same ones you might have seen in your grandfather’s liquor cabinet? There is a reason for that. Vodka is colorless, flavorless and can be mass produced from scratch in a matter of days. For that matter, you can make it in your bathtub over a long weekend with basic ingredients from your kitchen. Making an enjoyable scotch, on the other hand, takes years. In fact, whisky cannot technically be called “scotch” at all unless it has been aged in an oak cask for a minimum of three years. Of course, if you offer a gentleman a scotch that has only been aged three years, he might take it as an insult. A decent scotch—be it blended or single malt—will generally be aged anywhere from 12 to 25 years or more. Anyone can start an exclusive new vodka brand given a sufficient pool of capital. 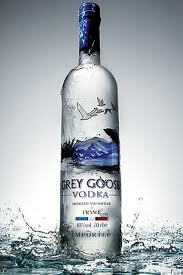 Consider the example of Grey Goose. The American billionaire Sidney Frank created the brand in 1997 and sold it to Bacardi just seven years later for a quick $2 billion. Had he opted instead to create a new scotch brand, he would not have lived long enough to enjoy its success. When the late Mr. Frank passed away in 2006, his first batch of scotch would have still needed another 5 years or more of aging to be taken seriously. This is a significant barrier to entry for would-be newcomers. Imagine an enterprising scotch enthusiast attempting to start his own distillery today. What bank or venture capital firm would put up the money to get a distillery of any size in production given that the company wouldn’t have a sellable product for at least a decade? Perhaps you could get the enterprise off the ground faster by buying existing aged inventory from a small independent distillery, but this is not something that would be feasible on an industrial scale. At best you would have a small craft business. This brings me to a recent headline on Diageo (NYSE:$DEO) the British-based international spirits conglomerate and owner of the ubiquitous Jonnie Walker brand. In addition to Johnnie Walker, Diageo owns the J&B scotch, Crown Royale Canadian whiskey, Ketel One and Smirnoff vodka, Jose Cuervo tequila, and Bailey’s Irish Cream brands (among many others) and acts as distributor for the assorted cognacs of Moet Hennessy. Diageo is investing $1.5 billion to expand its scotch production over the next five years. The news sent shares of Diageo’s stock price higher as investors interpreted the announcement as a bullish call on the company’s future. Think about it. Diageo’s management must feel pretty confident about the future to expand its scotch operations on a grand scale. While some of the production used for the lower end Red Label line might be available in as little as 3-5 years, it will be at least 12 years before any whisky made in the new distilleries will be eligible to be used in a bottle of Black Label—and nearly three decades before it could be used in a bottle of the ultra-high-end Blue Label. I have every reason to believe that this optimism is warranted. Over the past 5 years, the company has grown its top-line sales by over 50 percent—and the past five years have been rather challenging for most consumer-related businesses. Much of this growth has been due to high demand from emerging markets—which already constitute 40 percent of Diageo’s sales and continue to take a bigger slice every year. Call it the legacy of the British Empire. The United Kingdom controlled 25 percent of the world’s land mass at its apogee, and its influence spread far wider. And everywhere those ambitious British colonials went, they brought with them a thirst for scotch whisky. Outside of the United States—where Kentucky bourbon whiskey and Tennessee whiskey are popular—scotch is generally the only game in town. As incomes continue to rise in China, India, Latin America and other brand-conscious emerging markets, so do standards of taste. Ordering a premium spirit or offering a bottle as a gift is a sign that you have “made it” in life. This is a long-term macro theme with decades left to run—which is perfect for Diageo’s premium scotch production timeline. I should also add that Diageo is an International Dividend Achiever, meaning that the company has raised its dividend for a minimum of five consecutive years. 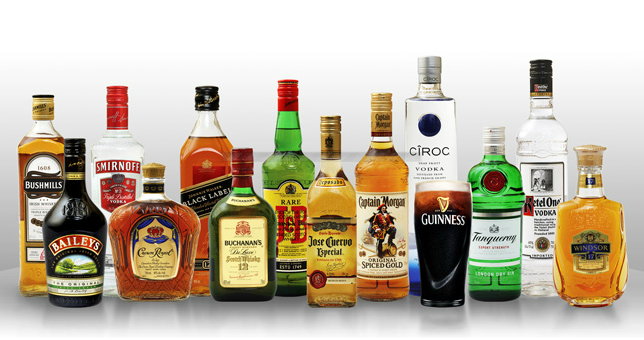 I expect Diageo to continue raising its dividend at a nice clip in the years ahead. The stock currently yields 3.0 percent. I won’t say this about too many companies, but Diageo is a stock that you can buy and forget. I recommend the stock for your core, long-term portfolio—and I also recommend you take the time to enjoy a bottle of Black Label, preferable with full-bodied cigar. And if Diageo performs as I expect, use your dividend proceeds to upgrade to a bottle of Blue Label. Disclosures: Sizemore Capital is currently long DEO. This article first appeared on InvestorPlace. SUBSCRIBE to Sizemore Insights today via e-mail. The quote above was from a Financial Times interview with Johann Rupert, Chairman of the Swiss-based Richemont (Switzerland:CFR), the second largest luxury goods group in the world (see “Tourist Buyers Pose Sales Conundrum”). The outlook for Europe is not particularly good these days. Even if the Eurozone survives its current crisis—and I believe it will—real domestic growth will be hard to come by going forward. Debt deleveraging, aging demographics, and—in some cases—shrinking populations suggest that Europe may never again be a major engine of consumer demand, or at least not in the lifetimes of most people reading this article. Many demographers have warned that Europe risked becoming a “cultural theme park” for American, Chinese, and other foreign tourists, or an “open air museum” as Mr. Rupert suggests. “Giant luxury shopping mall” might be a better description, however. Mr. Rupert ought to know. Though Richemont is based in Europe, the biggest buyers of the group’s expensive wares—which include the Cartier and Mont Blanc brands among many others—are Chinese nationals. Richemont is not alone. Barron’s recently reported that Italian luxury group Prada (Hong Kong:1913) gets 37% of its revenues from Europe, but only 17% of that is actually sold to Europeans. Most of the rest is sold to Asian and specifically Chinese tourists. Counting the nationality of the buyer rather than the location of the sale, 57% of the group’s revenues are estimated to come from non-Japanese Asians and another 12% come from Japan. All told, nearly 70% of Prada’s sales go to the East. Precise figures are impossible to come by, but it is believed that half of the luxury goods sold in Europe in 2011 were to tourists from mainland China. And this does not include sales made in stores within China itself, which are growing at a startling clip. Though the United States has its share of luxury brands, such as handbag maker Coach (NYSE:$COH), the luxury goods industry is concentrated in Europe, which also happens to be ground zero of the biggest sovereign debt crisis in generations. And with this crisis comes incredible opportunity. I’ve never been comfortable investing heavily in emerging markets. The lack of transparency and corporate governance was always a sticking point for me. I’ve always preferred to invest indirectly, through the shares of Western firms with a large and growing presence in emerging markets (call it “Emerging Markets through the back door”). The luxury goods sector is particularly well suited for this strategy because not only does it target emerging market consumers, it targets wealthy emerging market consumers that tend to weather economic storms better than the rest. In recent articles, I have suggested that readers accumulate shares of European and particularly Spanish blue chips on dips (see “How to Invest for European Armageddon”). Today, I recommend that readers take their pick of Europe’s finest luxury goods companies. For those investors with access to foreign markets, I recommend shares of both Prada and Richemont. 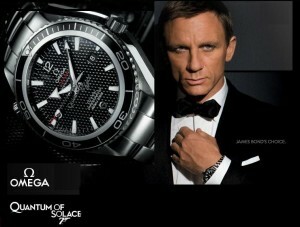 Swatch Group (Switzerland:UHR), the maker if the Omega brand worn by Daniel Craig as James Bond, is also a fine choice. For those limited to stocks trading in the U.S. market, the shares of the LVMH Moet Hennessey Louis Vuitton ADR (Pink:$LVMUY) are a fine option as well. The shares are liquid enough for most investors to trade without any issues, but investors trading in large lots should use a limit order nonetheless. China’s economy is slowing, and this has caused a stampede out of most luxury names in the second quarter. Alas, it is remarkable how short some investors’ memories can be. We’ve seen this movie before. Last summer luxury firms sold off heavily as well, as…you guessed it…fears of a European meltdown and a slowing in China caused investors to dump the sector. But then, a funny thing happened. The slowdown in luxury sales never materialized and 2011 proved to be the strongest year in history for the sector. Will 2012 prove to be as good of a year for the sector? Only time will tell, but I have no reason to believe this time will be different. Take advantage of any short-term weakness to accumulate shares of high-profile European luxury brands. 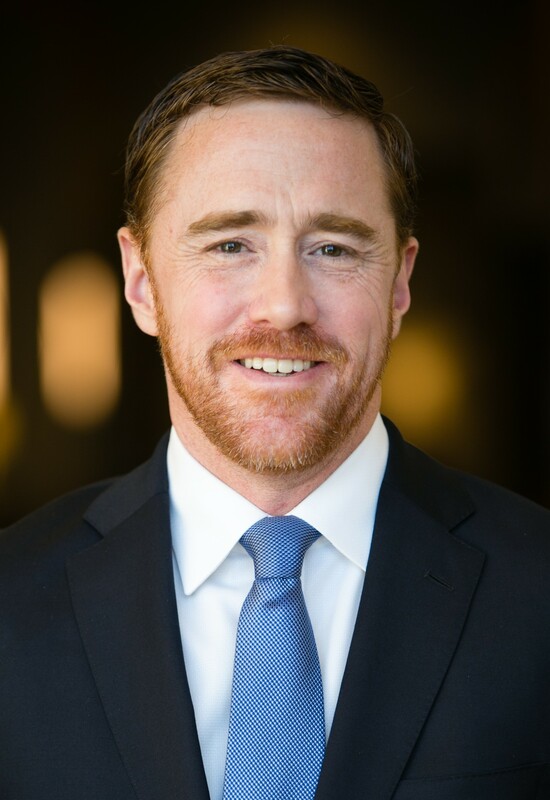 Disclosures: Sizemore Capital currently holds positions in COH and LVMUY. This article first appeared on MarketWatch. In the interconnected web of the global economy, the rise of China has been one of the biggest drivers of the decade-long bull market in energy and commodities. But China is also making its presence felt in other less obvious areas of the economy. Yes, it would appear that affluent Chinese are driving a global boom in luxury bathrooms. 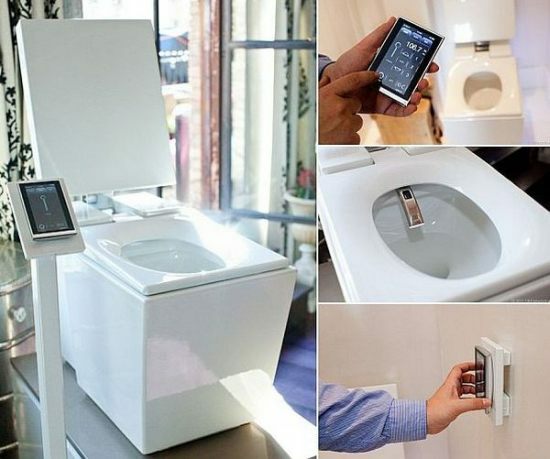 Kohler, the American plumbing fixtures manufacturer, now sells the $6,400 Numi luxury toilet (see photo). 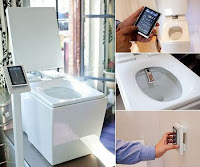 Driven by the demanding tastes of China’s newly wealthy, the Numi features a heated footrest and a “sleek iTouch style remote,” according to the Financial Times, that controls an internal music system, the adjustable bidet, and the temperature of the seat. It also allows the user to play video games, read e-books, and call friends on Skype. The press release didn’t elaborate on whether or not Skype’s video conferencing features are enabled; I sincerely hope that they are not.